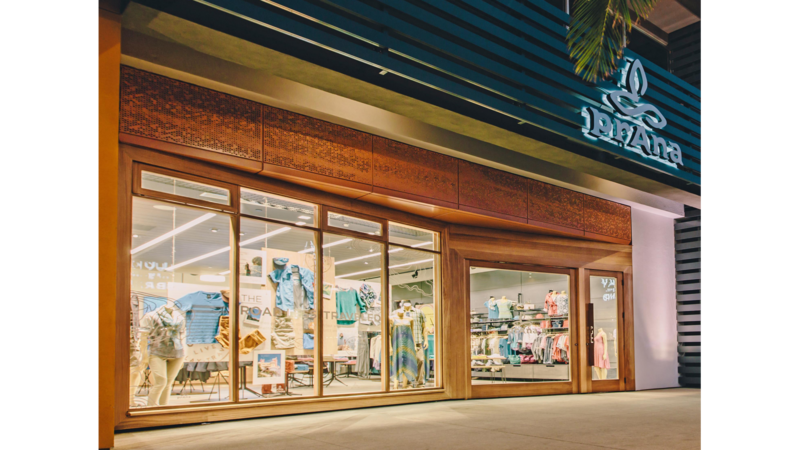 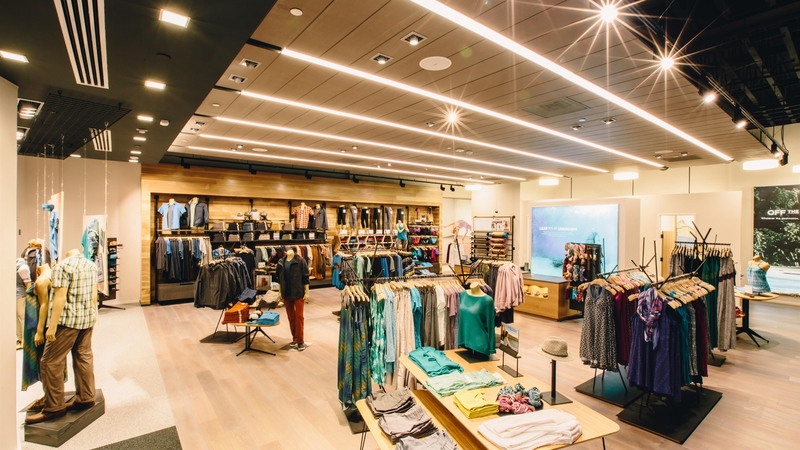 prAna’s seventh flagship store opened in the fall of 2015 at The Point, a new lifestyle center in Southern California. 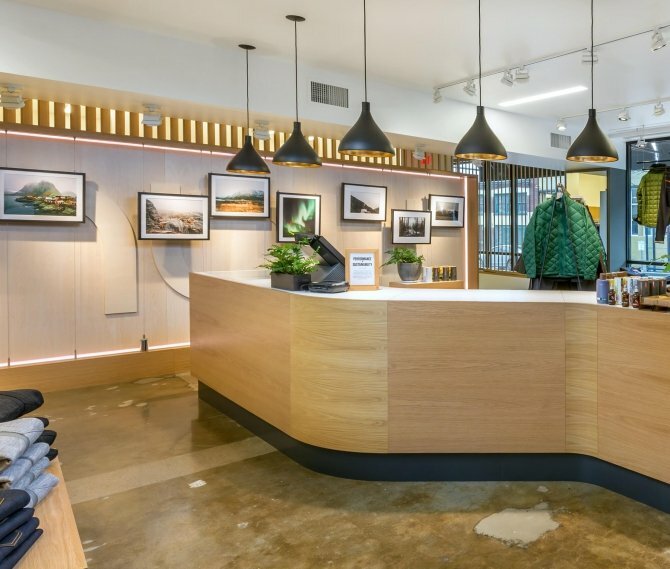 The open floor plan maximizes the 2,000 sf sales floor while accommodating about 1,000 sf of fitting rooms and back-of-house. 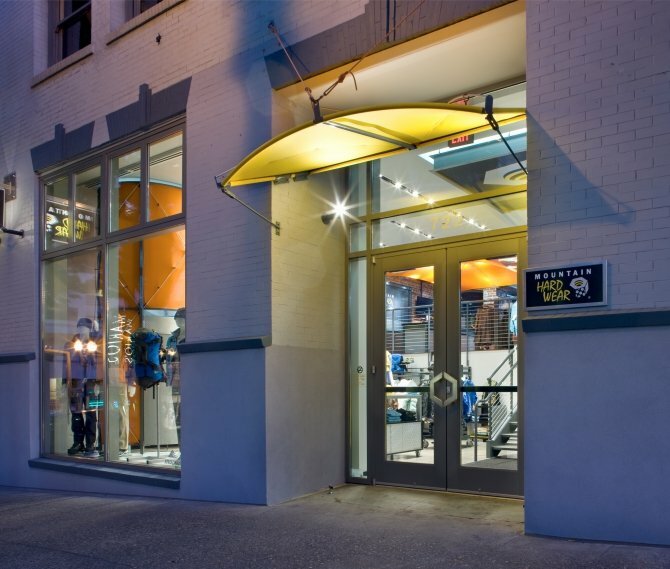 The storefront features an 8’ x 9’ operable wood pivot door that remains open during the day to allow for the free flow of customers, as well as fresh air. 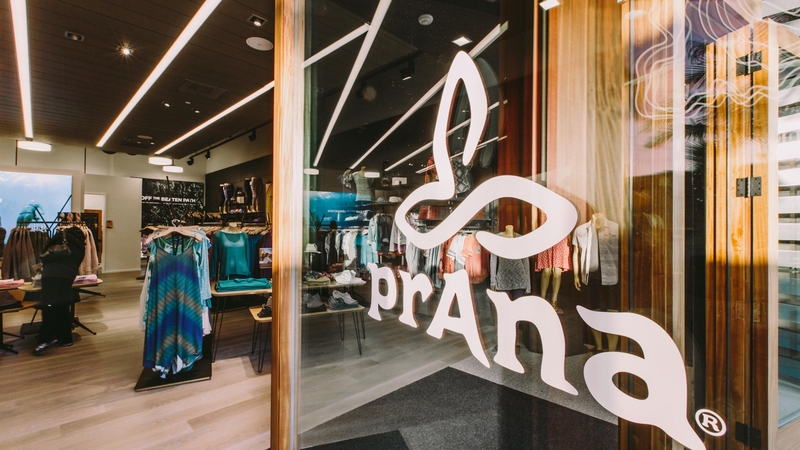 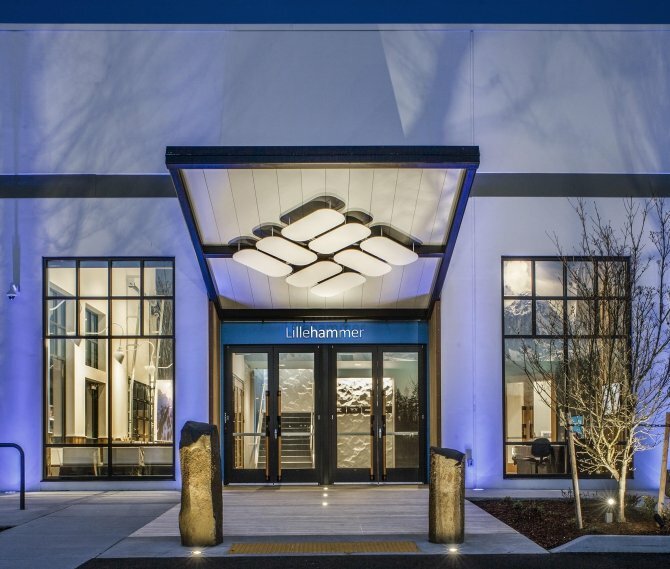 First featured at the company’s Carlsbad, CA headquarters, this large pivot door has become a signature of prAna’s brand, alluding to the Hindu translation of prAna: “breath.” This prAna store is the first to implement prAna’s new prototype for style layout.